Pampering and pure relaxation: what’s not the love about a day at the spa? And while we wish everyday could be spa day, it is possible to create your very own spa-like retreat at home (without hiring a contractor). Read on for my favorite tips on how to get that spa-day feel everyday, without remodeling your bathroom! If you live in a warm-weather environment like I do, plush might not be your thing. For those warm summer months, pick up a super soft organic cotton kimono robe! 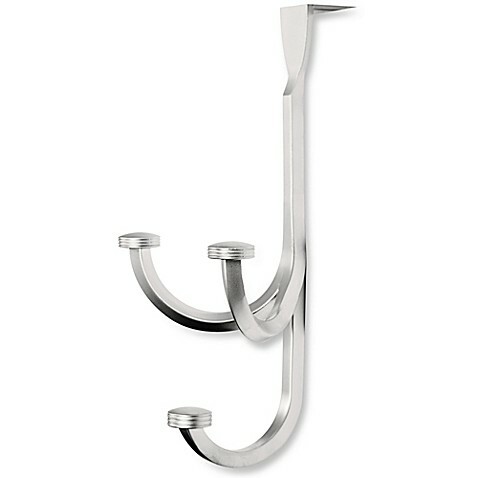 Pick up an over-the-door hook to hang your robe when not in use. 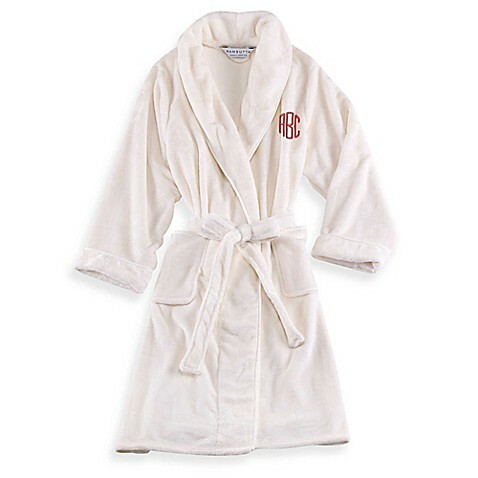 I find that keeping my robes in the bathroom means I’ll remember to use them more than if they’re hanging in my closet. I love this one because I can hang up a few robes at a time—and a towel too! 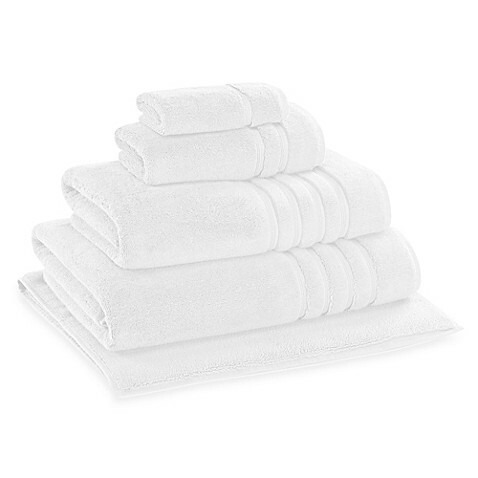 Speaking of towels, these Wamsutta Collection Turkish bath towels are the softest, fluffiest ones you can find! I recommend going all-white for the true spa feel. 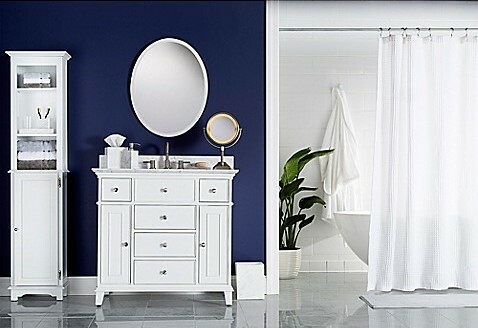 While I avoid white in most rooms of my house (#kids), my master bath is filled with the calm, cool, color. You won’t need to invest in marble countertops to get that luxurious spa feel. I would start with this gorgeous marble vanity tray, perfect for displaying perfume bottles and a ring holder for small pieces of jewelry. In my bathroom, I use glass jars to display my cotton balls and Q-tips as well! 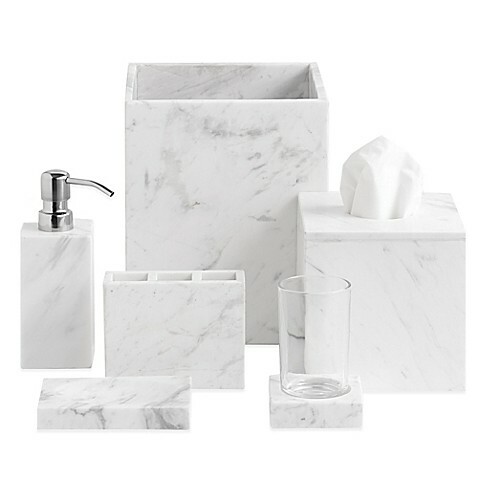 Keep the marble theme going with this marble bath ensemble. Even your toothbrush and tissues will look fancy! Break up all the white with some warm, natural accent pieces. I love this acacia towel tray—your white towels will look gorgeous rolled and stacked in it! 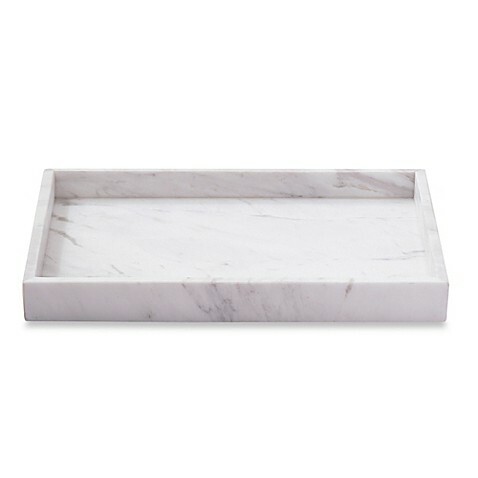 Or, use it instead of the marble vanity tray to display your marble accessories. This teak shower bench is high on my wish list! 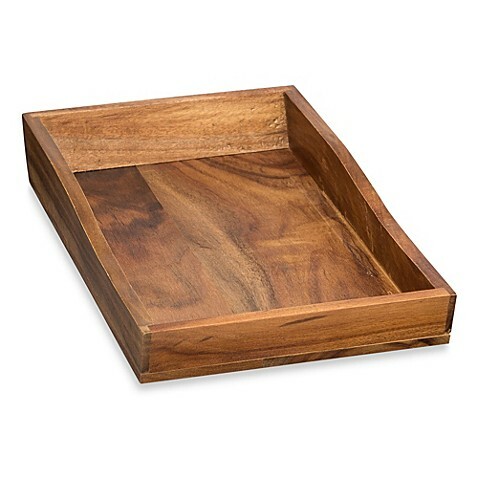 Whether you use it to take a seat in the shower or as a storage piece, it adds a spa-like touch to any bathroom! 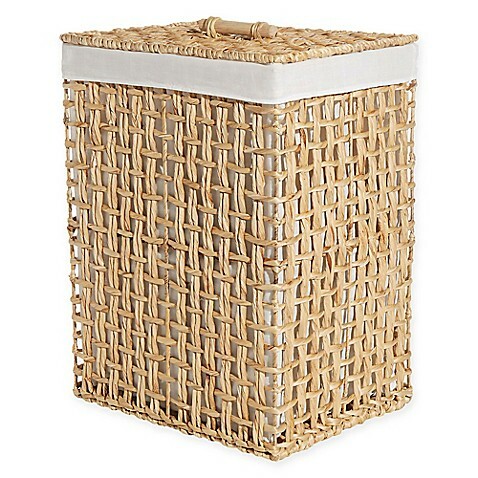 The hamper is another opportunity to bring in a natural element. I love the open weave of the natural water hyacinth on this one! 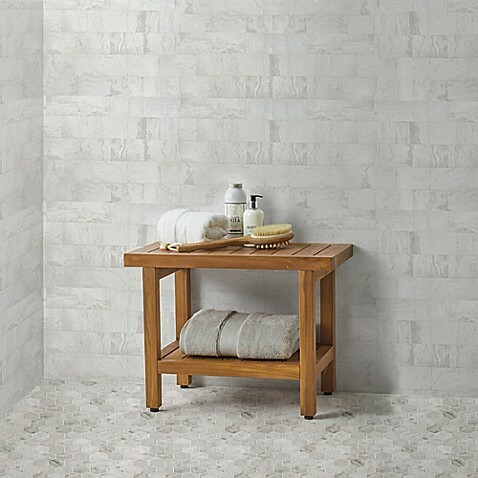 Your spa-like bathroom should be a place to refresh and recharge. Set the mood by lighting a candle. 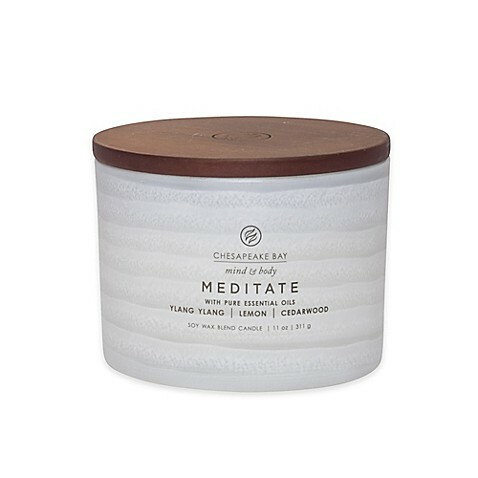 I love this 3-wick jar candle, made with pure essential oils and designed to help you relax! An oil diffuser is another great option for filling your at-home spa with a soothing scent, especially if you’re concerned about forgetting to blow out a candle! Whether you sing along or not is up to you, but music is always a relaxing touch! 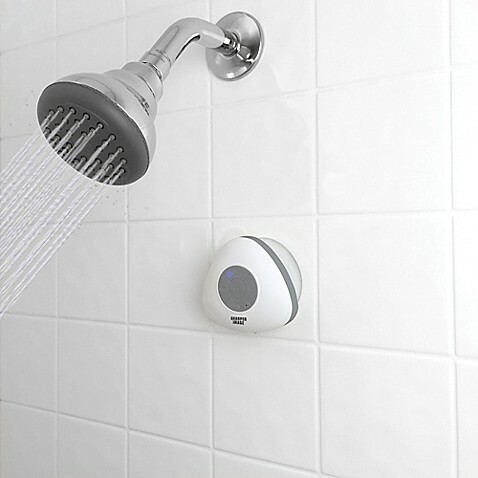 This Bluetooth shower speaker lets you stream music from your phone right into the shower! The device allows you to pause, skip songs, and even take a phone call—though if your goal is to relax, I don’t recommend it! Add some self-care to your shower routine! While it’s not quite like getting a massage, this teak back brush lets you scrub, exfoliate, and massage your back (even the hard-to-reach spots). 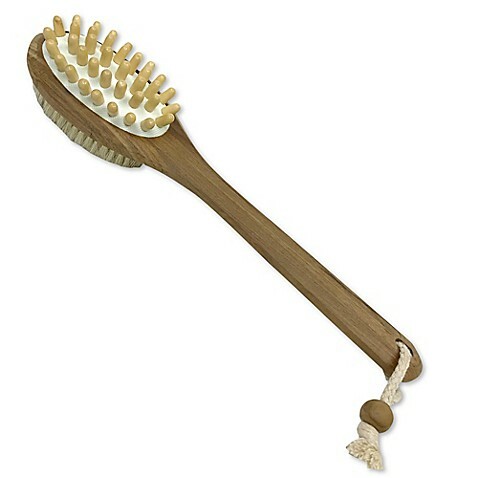 I’d also recommend this teak foot brush—it’s a great way to keep your feet soft and smooth between pedicures! 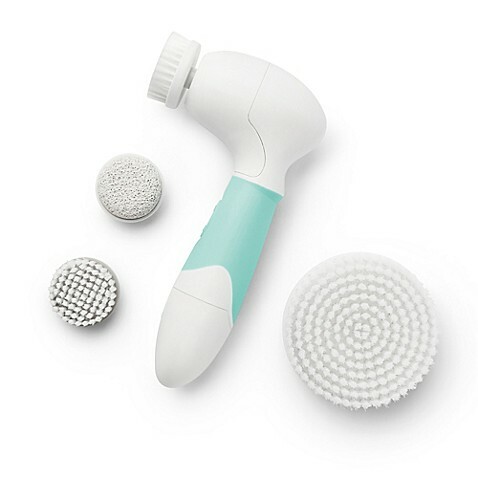 This spin body and facial cleansing brush is a total game changer: use along with your favorite cleansers and soaps to get that fresh facial feeling any day of the week! The four interchangeable heads can be used for cleansing, exfoliating, full body, and even dry heels and elbows. 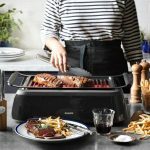 I’m just sad I didn’t get mine sooner! 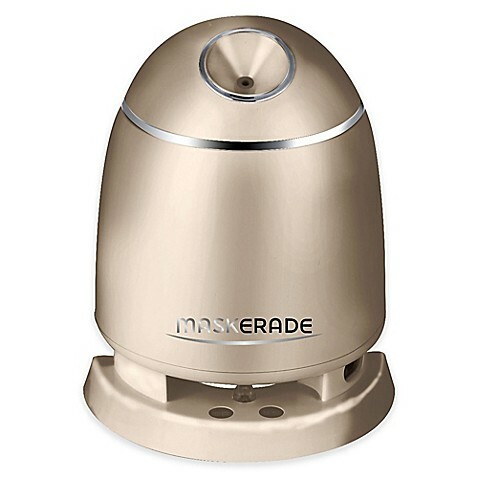 I’m also adding this innovative gadget to my wish list: the ORA Maskerade Facial Steamer & Mask Maker Duet! This little beauty allows you to get a steam facial in under 5 minutes to open pores, help cleanse impurities and increase circulation, AND make your own DIY gel facial masks! Not sure how to make a mask? It comes with collagen peptide tablets and recipes! Your bathroom is still a bathroom, but it doesn’t have to smell like one! 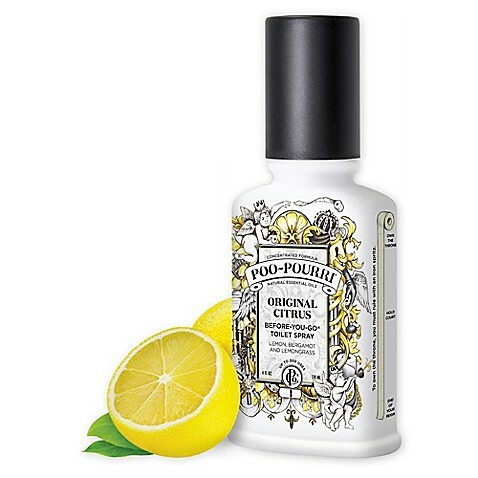 Keep the air fresh and clean with Poo-Pourri: simply spray the water in the toilet bowl before using; it’s specially designed to trap unpleasant bathroom odors beneath the surface of the water and keep them out of the air. 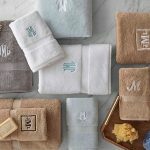 I hope these tips and products help you create a relaxing retreat in your home, so that you can enjoy spa day everyday! Looking for more bathroom inspiration? 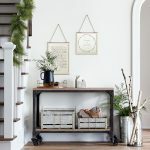 Bed Bath & Beyond has put together 46 dream bathrooms for you to shop based on your style, from farmhouse to coastal, to sleek, urban, and mid-century modern, just to name a few! 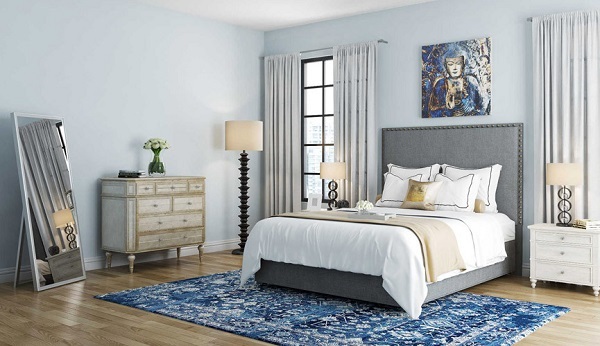 And if you’re ready to design another room in your house, Bed Bath and Beyond has you covered with dream living rooms and bedrooms that are visually inspiring AND ready to shop: almost every item you see in the inspiration photo is linked and available for purchase! 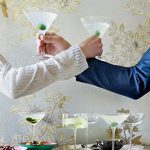 If you’re getting ready to walk down the aisle, be sure to hop over to Bed Bath and Beyond’s Shop the Room page and start adding items that suit your style to your registry. And if you haven’t registered at Bed Bath and Beyond yet—what are you waiting for? 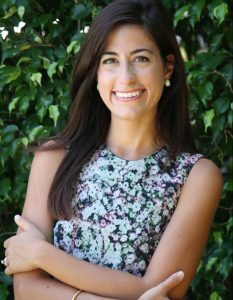 –Written by Christina Peterson, who is always up for trying a new facemask in her at-home spa.